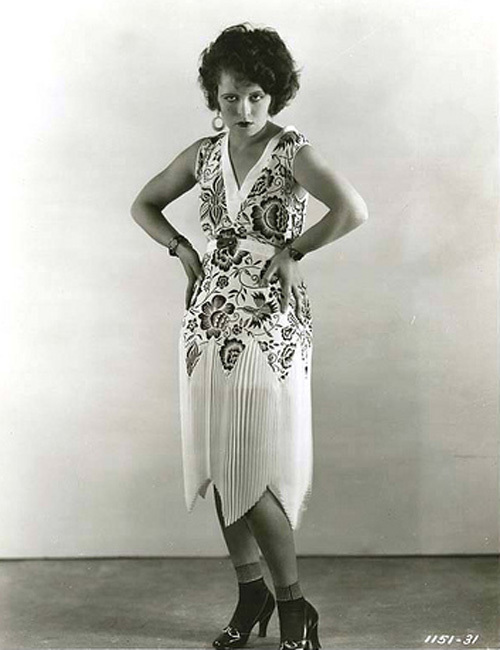 As I've been discussing during my Month (or so) of Art Deco, the era that stretched from the flappers of the 1920s through the sophisticated 1930s has been all the rage in fashion. And don't expect it to end any time soon...though the inspiration has largely come from current movies such as Academy Award winner The Artist, the release of Baz Luhrmann's The Great Gatsby in December means Deco will be in vogue throughout the year. I've always been a fan of the 1930s for the sleek elegance of the decade. Streamline Moderne was an architectural style of the 30s that was also found in fashion from the clothes to the hair. In contrast, the 1920s were a much wilder time...an era of exuberance and excess that started in celebration to actually surviving World War I. The time was about freedom and movement with people suddenly able to travel the globe in modern transportation like oceanliners and airplanes. You'll see the excitement in travel reflected in Art Deco architecture such as Los Angeles' City Hall and Eastern Columbia Building. Movement was of course apparent in fashion as well, largely in the pleating and fringe that decorated dresses and seemed to dance even when the ladies were not. This is the look that's so popular now and starlets are striving to find their inner flapper as they take to the red carpet...not in vintage, as you might expect when you see them, but wearing different designers who are all interpreting today's Deco trend. Of course part of any trend is the hair and makeup. 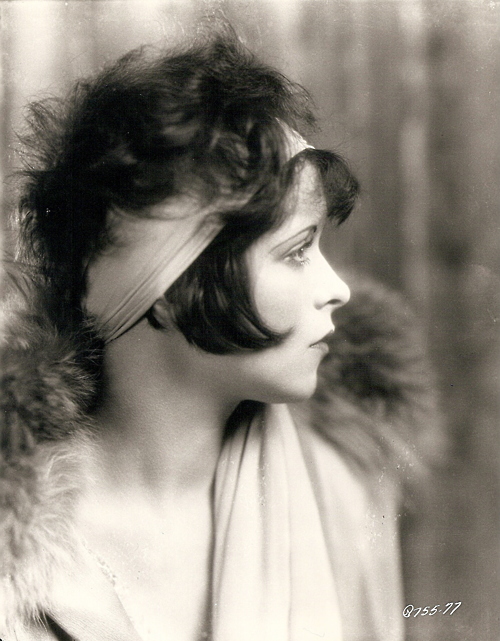 The 1920's wild ways were often reflected in hair that was cut short and tousled on top of women's heads, sometimes tamed ever so slightly with a headband, hat, or scarf. Makeup was wild, too...usually smoky eyes paired with deep red lips. 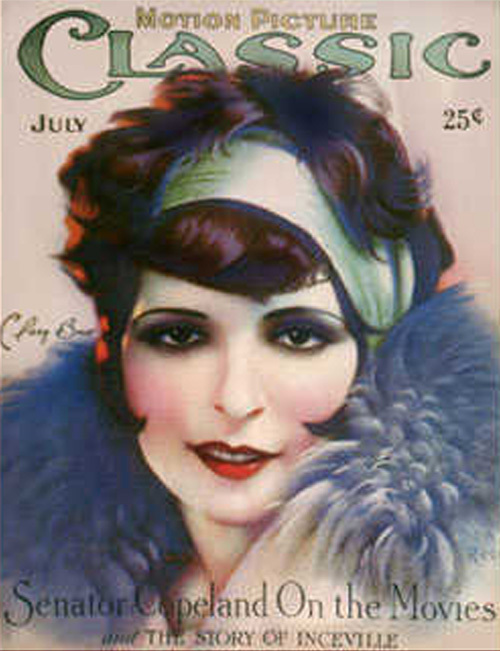 You can see both on Clara Bow, the very first It girl due to starring in that 1927 film and one of the stars who best represents the quintessential flapper. Others include Marion Davies, Louise Brooks, and Joan Crawford for her breakout role in Our Dancing Daughters, which I'll be covering after its April screening at the TCM Classic Film Festival. Modern makeup from the Jazz Age started on the Fall runways and has continued through to Spring with fuschia lips now appearing just as often as bright red. Remember, there are no hard and fast rules here...and that, I am quite sure, is just as the flappers would like it. The flapper inspired gowns on trend right now are gorgeous, some of them drape like liquid and the geometric designs are beautiful. Definitely a trend I wouldn't mind seeing more of. 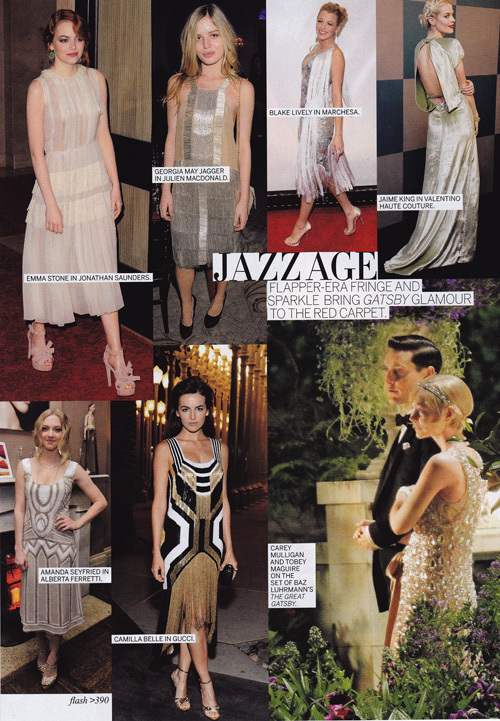 The Jazz Age has definitely found its way into today's fashion. Though I'm sure even mass retailers will find a way to weave in its style, I hope it's not too terribly diluted...I love the 1920s for its high impact. My favorites have movement and shine while still maintaining those clean lines. And I'm fascinated by Clara's hair as well, which feels very bohemian at times. It's the type of style that would work for those gals that really love the whole boho chic look today. I seem to have hair on the brain...I've got Louise Brooks coming up next! Thanks for your comments, Kay and Lena!